Webe has launched the #SeeEveryEmotion campaign. 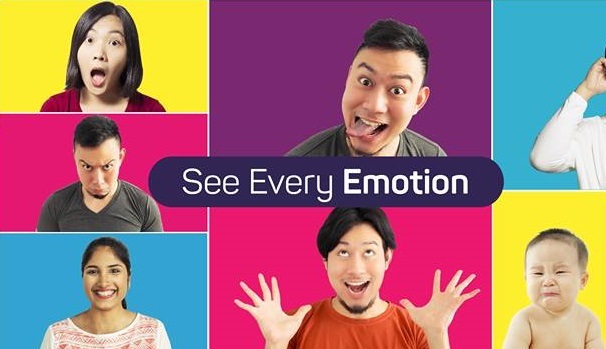 The Malaysian digital mobility services provider is encouraging consumers to use the power of video to bring back the crucial element of visual — human emotions – into their everyday interactions. “Video – its use, consumption and the creation of content on it – is an amazing space to be in. Through webe’s offering, webe is uniquely positioned to empower Malaysians visually and redefine the way we communicate. This is part of our constant focus on ensuring that we deliver to our consumers the best experience that we can, while meeting the needs of real people in ever evolving ways,” said Lai Shu Wei, chief marketing officer, webe. #SeeEveryEmotion is about empowering one of our five key senses: sight. Where consumers were previously limited to calls and text communications for the bulk of their mobile interactions, webe believes that the ability to see, as well as hear your loved ones will enhance the value of our everyday communications immeasurably. webe aims to show consumers how to take advantage of a never-ending data plan to explore video in every way. “Human communication is based on emotion. Video allows us to engage with nuances that can only be seen – things like a look, or an expression – that can never be adequately brought to life through words or sounds only. Video is the way ahead, and where consumers who wanted it before this were limited by concerns such as the perceived high cost, accessibility, or availability of digital mobility solutions for real people; webe has now demonstrated again that such limitations are no longer the case,” added Lai. As consumers continue to become ever more mobile, access to data has become a need especially in the fast-growing video usage space. In fact, mobile video traffic is forecasted to grow by around 50% annually until 2022 to account for nearly three quarters of all mobile data traffic. By removing all caps, limitations and restrictions on how consumers can actually use their mobile phones, webe’s approach focuses on redefining how consumers can be empowered to live their lives as they choose, while enjoying the nuances of being able to see their loved ones through video calls as they speak to them.